Your business associates are widely scattered all over the world. For easy reference and customers’ convenience, it is good to plot each and every associate’s office location into a general map. Of course it is quite tedious if you alone need to locate all the offices, identify them correctly and amend or modify as and when your associates move office. Instead of working alone and getting entangled with all the coordination hassle, users can actually make use of Google Map’s share and collaborative feature to initiate and invite all the associates to plot their respective locations correctly. 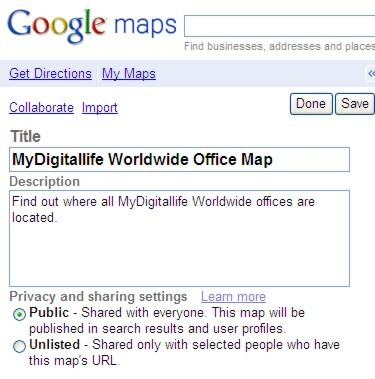 To initiate and set up a shared Google map for your associates network, users can log in to Google Maps. 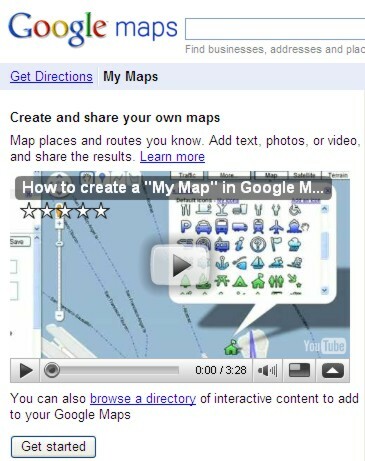 Go to “My Maps” tab and click “Get Started” under ‘Create and share your own maps’. 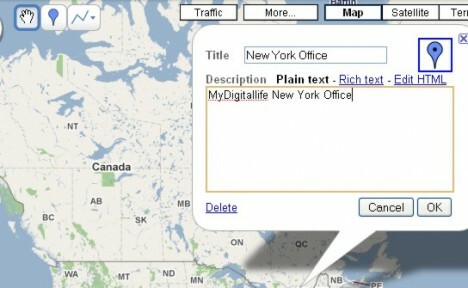 Users can thence type in the title for the map and add in relevant description about the map. Users need to decide and choose the privacy setting: Public (Shared with everyone. This map will be published in search results and user profiles) or Unlisted (Shared only with selected people who have this map’s URL). 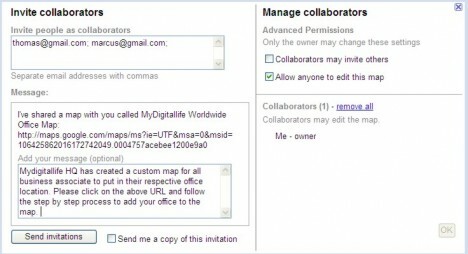 Once users have filled in the information, users need to click on “Collaborate” to proceed. Users will thence be prompted with a new “Invite Collaborators” window. Users can set their preferences and add in the email address of the respective recipients who will be involved in creating the shared and collaborative map. The recipients or collaborators will receive an email explaining about this project. 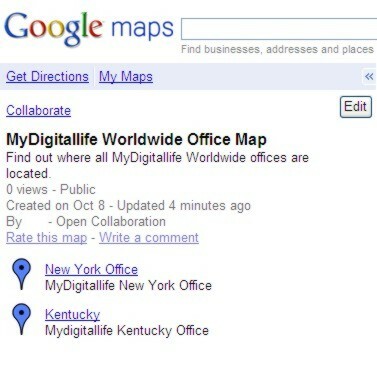 They need to click on to the URL link which directs them to the shared map. 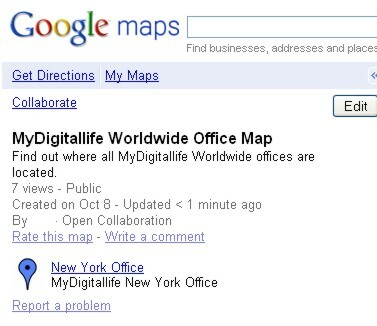 The recipients or collaborators can use the “Search Maps” feature to identify their own office. 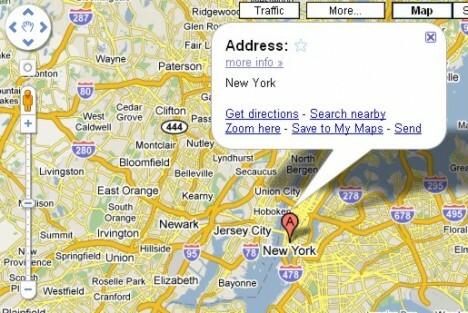 Once it is confirmed, they can click on to the marker, choose “Save to My Maps”. Save the location. In a small message box prompted, key in the title and description, and press OK to continue. Once the collaborators in the team have entered their respective input, each and every member in the team can see the list of locations from the map. 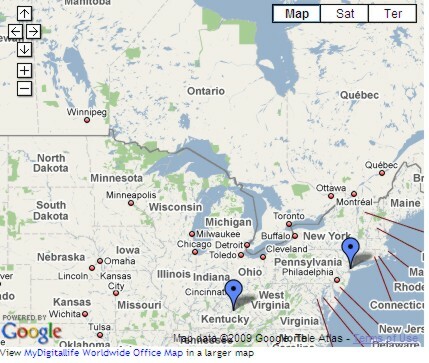 Users can share this map with others by sending it out via email or embed it into a website or blog. 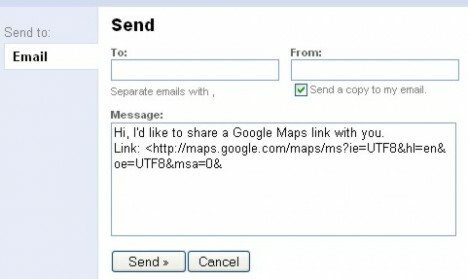 Users can click on the tiny “send” icon in the upper right side of the map to send the map out via email. Users can click the “Link” icon to get the embed code. The idea of shared and collaborative maps is pretty useful for networking purposes.